With a longer perspective, what is striking about the so-called space lobby of the 1960s is not its strength but its weakness. The picture that emerges of the aerospace industry’s relationship with NASA is one of mutual dependence. Even together, they were unable to prevent a spectacular downturn in the budgetary fortunes of the civil space program. “The fact that the program was cut drastically,” says science fiction writer and National Space Institute President Ben Bova, “shows the absence of influential space interest groups.” At the time, the only significant organizations concerned outside the government were the aerospace industry, aerospace workers, and aerospace professionals, which proved unable to sustain the momentum of an Apollo-scale program. Although potentially influential organizations were involved, they were not well organized as a constituency and did not have an agreed-upon agenda. The drastic cutting back of the NASA budget between 1965 and 1974 was the kind of negative event that causes interest groups to mobilize. Clearly, real interests had been created by the space program during the 1950s and 1960s. NASA itself had grown to be a sizeable government agency, and congressional committees and their staffs had expanded in parallel. Large corporations and smaller companies had profited from NASA contracts. Many aerospace workers and engineers had found employment in or because of the space program. The elements of a potentially large, influential lobby with pragmatic economic interests in the space program were there. They included the components of the classic “iron triangle” of American interest group politics: a federal agency fighting to preserve and expand its budget and staffing, its oversight committees and their staffs, and groups outside the government with economic and professional interests in the continuation of the program. The responses of these groups accord reasonably well with contemporary models of interest group behavior based on the assumption of “economic man,” acting rationally in defense of his pragmatic interests. NASA and the congressional authorization committees worked to ensure the continuation of the program. Aerospace industry and professional groups adapted existing associations to form governmental affairs offices and entered more systematically into that two-way exchange of information that is the essence of modern lobbying. Some also used such modern techniques as political action committees in an effort to influence political outcomes. However, this potential lobby was slow to organize. It lacked an agreed-on agenda, was organizationally fragmented, and never formed a cohesive force behind the idea of expanding American civil space activity. If the groups outside the government can be called a “lobby,” it was for the aerospace industry rather than for the space program. As of the early 1970s, that lobby lacked organized support in the general population. At the center of it all was the National Aeronautics and Space Administration. NASA went through difficult times after the end of the Apollo program. The space agency was a perennial candidate for budget- cutting because its programs were regarded by many as discretionary. There were political trial ballons suggesting that NASA be abolished, that it be merged with the Department of Defense, or that it be given a different mission more relevant to the times, such as finding solutions to the energy problem. However, few policymalcers seriously thought that the United States should get out of the space business. The utility of some kinds of space technology had won acceptance, and NASA had a reputation for success. NASA had to go through a major transition, from an organization created to meet an urgent national need by performing one specific task to a permanent government agency that had to defend its interests just like any other. “At the end of the 1960s,” says Klaus Heiss, “NASA had to sell itself for the first time.” Pragmatic visionaries in NASA’s employ had to learn patience in their pursuit of a long-standing agenda. Although that transition was traumatic for many people in NASA, it was successful, particularly during the long term in office of Administrator James C. Fletcher. NASA adapted to the times with a relatively low profile on manned spaceflight issues. The agency was under clear instructions from the White House to restrain its desire for ambitious programs, at least until the Space Shuttle was working. But NASA continued to function effectively as a technology development agency. “The 1970s were the norm,” comments former NASA Administrator Thomas O. Paine; “it was the 1960s that were the aberration. Like older federal agencies, NASA had to lobby for its budgets in two stages: first with the Office of Management and Budget and the White House and then with the Congress. The agency had an Office of Legislative Affairs to represent its interests to Congress. Senior officials such as the administrator and deputy administrator also played active roles in congressional relations. As is the case for federal agencies in general, most of NASA’ s congressional lobbying concerned budget requests and the provision of related information to members and committees of Congress. Unlike most agencies, however, NASA has a network of relatively autonomous centers scattered around the United States. These centers have been known to lobby on their own behalf, or to encourage their contractors to do so. This gives the agency important political bases in several congressional districts, which is an advantage at budget time. NASA also has had an active public information program with a generally attractive product to sell. NASA became a permanent player in the Washington game, an established federal agency competently advancing its interests within guidelines set down by the President and the Congress. After the early 1970s, NASA succeeded in ensuring a relatively stable funding level that allowed coherent planning for the future. However, NASA survived not only because of its own efforts and the appeal of its programs but also because it had friends. Since its earliest days, NASA has had important allies in Congress. Senator Lyndon B. Johnson played a key role in the creation of the agency. He continued to be an active supporter as vice-president, when he was chairman of the National Aeronautics and Space Council, and later as President. Special committees of Congress with a specific interest in the space program were created in 1958 and evolved into permanent committees of the two houses in 1959. These authorization committees have provided the organizational foci for congressional support of the civilian space effort. In many cases, that support was motivated by constituency concerns or by the institutional interests oversight committees have in the agencies under their jurisdiction. However, there also were the more personal elements of respecting and admiring NASA’s achievements and a conviction that these were important to the United States. Congressional interest in space has waxed and waned in cycles corresponding to the rise and decline of public interest in the program. However, key figures on the authorization committees, and individual members not on those committees, have stood by NASA in its times of travail. In the House of Representatives, the key figure during the lean years was Olin Teague, of Texas, who provided continuity through the post- Apollo transition. Teague was chairman of the Subcommittee on Manned Spaceflight of the Committee on Science and Astronautics during the turndown in NASA’s fortunes. In 1973, the Science Committee was downgraded to a non-major committee but was given important new responsibilities in non-space areas when it was renamed the Committee on Science and Technology, with Teague as its chairman. The space program was given to a Subcommittee on Space Science and Technology under Florida Congressman Don Fuqua. Together, Teague and Fuqua played a key role in maintaining support for NASA in the House, holding hearings on future programs and pushing for new American initiatives in space. Fuqua became chairman of the full committee in 1979, when Teague retired, and temporarily retained his subcommittee chairmanship as well. In 1982, Harold Vollmer, of Missouri, succeeded Fuqua as chairman of the Subcommittee on Space Science and Applications. The situation in the Senate during the lean years was far more discontinuous. In the heyday of the space race, when space issues were at the center of national attention, senators sought membership on the oversight committee, and the chairmanship was held by senior Senators Robert Kerr and Clinton Anderson. Frank Moss, of Utah, took over in 1973 as support for spaceflight sagged to a low point; he recalls that many senators sought to leave the committee for those with higher political profiles and that other senators declined to join. Moss worked to restore the prestige of the committee before he lost his seat in 1976. When the Senate reorganized its committees in 1977, the Committee on Aeronautical and Space Sciences was downgraded to a subcommittee of the Senate Committee on Commerce, Science, and Transportation. Senator Adlai Stevenson III, who had been actively involved in the downgrading, became the new Chairman of the Subcommittee. Stevenson followed a recommendation by Moss that he visit NASA centers and, according to Moss, came back a changed man, turning into a great enthusiast for space until his retirement. Former astronaut Harrison Schmitt replaced him in 1979 but lost his seat in 1982. In 1982, Senator Slade Gorton, of Washington, became the new chairman of the subcommittee, and by 1984 he seemed to be emerging as another friend of the space program. Another senator notable for his long-standing support of the space program is Barry Goldwater of Arizona. In 1984, NASA invited Senate appropriations subcommittee Chairman Jake Garn of Utah to fly on the Space Shuttle. Each of the authorization committees and subcommittees has professional staffers who help to maintain continuity and who generally are sympathetic with the space program. They provide much of the day- to-day contact with NASA and other interested people and are an important source of expertise. However, the continuity of committee staffs can be interrupted when control of a house changes from one party to another and the majority brings in new staffers. For the staffs of individual members of Congress, space usually is a minor portfolio, lumped in with others. However, some of the staffers who deal with space issues are believers in the space enterprise, and several participated in the creation of a Congressional Staff Space Group in 1981 (see Chapter 9). Appropriations and budget committees, and their subcommittees, obviously play an important role in funding the space program. However, their concerns are much broader than those of authorization committees, and their members are less likely to be advocates of a particular agency or program. It helps to place things in perspective when one notes that the NASA budget is about one tenth of the total amount dealt with by the Appropriations Subcommittee on HUD and Independent Agencies of the House Appropriations Committee. Changes at the margins of the NASA budget, which may seem important to the space authorization subcommittees and their staffs, usually are minor issues to the appropriations and budget committees, which tend to focus on “big ticket” items. The aerospace industry is a descendant of the aircraft industry that grew out of World War II; many of the major aircraft companies, as well as other defense contractors, became suppliers to the space program. Despite the scale of the civil space program, however, it has been less important to the industry than defense procurement and civil aircraft. The aerospace industry is far more “aero” than “space.” This is reflected in the industry’s perceptions of its interests, and in its lobbying. Figure 2.1 [not shown due to copyright] shows that total aerospace industry sales, which peaked in constant dollars in the late 1960s, declined to a low point in that symbolic year of 1972 before climbing back to previous levels in the early 1980s. Within that total, sales to NASA and other non-Defense Department government agencies (mostly NASA) declined from a high point in the middle and late 1960s to a low point in the early and middle 1970s but did not enjoy the same degree of recovery in the early 1980s. As a percentage of total aerospace industry sales, NASA and other agencies shrank from about 15 percent in 1968 to about 7 percent in 1982. In calendar year 1983, sales of space-related equipment led all industry gains with an increase of 30.5 percent. However, the major reason was the significant growth in defense outlays for space systems, a trend in evidence for several years. Given these facts, it is understandable that the aerospace industry would give higher priority to other categories than to the civil space program. Although there are many individuals in the industry who share and advocate the space vision, their companies generally do not; contracts, not dreams. The cutback in space spending obviously affected the industry. But that was part of a larger decline in aerospace industry sales, including those to the Department of Defense, a cause for general concern throughout the aerospace industry. That industry is represented as a collectivity by the Aerospace Industries Association, whose headquarters are in Washington, D.C. The AIA traces its lineage back to 1917, when the Manufacturers Aircraft Association was formed to handle aircraft production problems in World War I. In 1919, the Aeronautical Chamber of Commerce of America was established to promote aviation and advocate its acceptance as an economic force. The chamber’s name was changed to Aircraft Industries Association in 1945, and that organization in turn became the Aerospace Industries Association in 1969. As of 1984, the AIA was supported by 49 large, prime-contractor member companies and worked with the National Security Industrial Association (NSIA) in the informal Council of Defense and Space Industries Associations (CODSIA) on matters of common concern. AIA has an Office of Legislative Counsel responsible for keeping Congress informed of aerospace industry views. For years, it also has had a resident space expert, James J. Haggerty, who has worked with NASA to write and edit the annual NASA publication Spinoff, a description of how technologies developed for the space program are applied to other needs. However, the AIA did not respond to the cutbacks in the civil space program by creating a new arm focused on space interests. There is no Space Industries Association. There is nearly universal agreement among knowledgeable people that the AIA as an institution is not a significant force in lobbying for space. The public record suggests that the AIA is more concerned with such shared interests as legal and regulatory decisions affecting procurements and exports, and with continuity and steady growth for government purchases of aerospace equipment and services, although it has testified against cuts in the NASA budget. The AIA’ s experienced public relations officer, John (Jack) Loosbrock, says the association normally does not take positions on specific projects (an exception was the space station, which the AIA endorsed in general terms). There is little consensus within the aerospace industry as to which programs should be advocated. Companies are divided by a diversity of interests, including divisions between aero and space, between defense and civil, and, according to the National Space Club’s David Wilkinson, between those who favor manned spaceflight and those who are more concerned about payloads. What the companies can agree on is that they want a big budget, so that everyone will get something. What the industry does not want is the boom and bust cycle of the late 1960s and early 1970s in the civil space field. In contacting the executive and legislative branches, aerospace firms do most of their lobbying individually. In this role, they are regarded by nearly all informed observers as second only to federal government agencies as an influence on space policies and programs. The companies do most of their lobbying through briefings, providing information about the projects they are working on. “Most industry lobbying is information, not advocacy,” said House Space Subcommittee Chairman Harold Volkmer in 1983. Victor Reis, formerly a senior official of the White House Office of Science and Technology Policy, recalls that while aerospace companies did not lobby as a group, they came to OSTP individually “all the time.” As in the case of Congress, company representatives came in to tell officials what they were doing and to ask about policy developments; both sides benefited from the exchange. In lobbying members of Congress, companies can appeal to constituency concerns, particularly employment. Former Senator Frank Moss recalls that the major companies had a very widespread network of subcontractors, from whom the members would hear. There was a time when companies could freely contribute money directly to political candidates. Under modern campaign financing laws, campaign contributions are funneled through political action committees (PACs) established by individual companies. Aerospace Daily reported in July 1984 that six aerospace PACs were among the top 12 corporate PACs in receipts and contributions. As of June 30, 1984, the Rockwell International Good Government Committee was second on the list of corporate PAC spending during the 1983-84 election cycle, with contributions of $349,414. Rockwell International Corporation manufactures the Space Shuttle orbiter, the centerpiece of NASA’s manned spaceflight program for the near future, and as of 1984 had been NASA’s largest contractor for 11 consecutive years. Aerospace companies also can have indirect influence on events by funding the aerospace-related activities of nonprofit groups. Since the beginnings of the aviation industry, companies have been aware of a need for popular acceptance of aviation and later space activities and of public support for government aerospace procurements. As one course of action, the Aerospace Industries Association (AIA) has supported a succession of organizations in the aerospace education field, the last one being the now defunct American Society for Aerospace Education (ASAE). In 1973, the AIA hired Wayne Matson to be its director of Education Services, a new position intended to improve the industry’s relations with the younger generation. For a time, Matson also was executive director of the ASAE. When that organization went out of business at the end of 1982, Matson became president of a new Aerospace Education Association (AEA), which does not receive grants from the AIA. With about 10,000 members, the AEA is composed mostly of educators interested in aviation and space. The association collects aerospace education syllabi and puts out directories useful to its members. As of late 1984, Matson was trying to make the AEA self-supporting, primarily by expanding sales of its magazine Aviation/Space. In December 1983, Matson became chairman of the board and president of a new International Aerospace Institute to be located in Colorado. At the end of 1984 the AEA was involved in seeking support for a National Space Council, an attempt to bring together diverse pro-space interests. 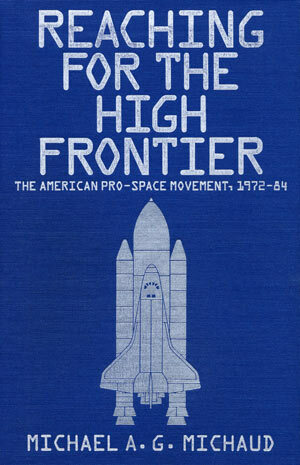 Individual companies also have been a source of financing for some of the pro-space citizens groups that began appearing in the mid-1970s. The most notable example is the National Space Institute (see Chapter 3). Some other space interest organizations, notably the Planetary Society, chose explicitly to not solicit or accept industry contributions. Aerospace companies also have helped the educational effort in other ways; Lockheed Corporation, for example, supported the making of the film The Dream is Alive, about the Space Shuttle. Another interest group affected by the cutback in the space program was the aerospace professionals — the engineers, scientists, administrators, and others whose major organizational expressions are the American Institute of Aeronautics and Astronautics (AIAA) and the Institute of Electrical and Electronic Engineers (IEEE). Here, too, the decline in spending on space was only part of a broader problem, which included reductions in defense research and development. As in the case of the aerospace companies, the organizational responses of the professional organizations were not directed primarily at urging a larger space program. Readers will recall that the AIAA was formed by the 1963 merger of the Institute of the Aeronautical Sciences and the American Rocket Society. As long ago as 1966, then AIAA President Raymond Bisplinghoff saw a need to improve public understanding of the aerospace profession and its contributions. The organization in 1967 created a Forum Committee on Aerospace Technology and Society that allowed the AIAA to engage in a dialogue with public figures. However, this did not prevent cutbacks in aerospace programs in the late 1960s and the early 1970s, when an AIAA membership of 33,000 professionals (not including students) nosedived to 25,000. The turning point for AIAA involvement in public policy came not because of events in the space field but as a result of the 1971 congressional decision to stop funding for the development of a supersonic transport (SST). To many advocates of advanced technologies, this symbolized the negative character of the times. According to long-time AIAA official Jerry Grey, who is now publisher of the AIAA magazine Aerospace America, professionals were offended by the fact that the decision to end the project was based at least in part on mistaken scientific and technical information. AIAA set up a Public Policy Committee, created a vice-presidency for public policy, and opened an office in Washington, D.C., under Johan Benson that was to observe what the government was doing in the aerospace field, collect information, alert headquarters to issues, identify key areas for testimony by AIAA, and maintain liaison with federal agencies and Congress. The Public Policy Committee’s first project was an assessment of space transportation systems, which was provided to the relevant agencies and committees of Congress and which may have had some influence on the development of the Space Shuttle. Since 1973, the AIAA has testified every year on NASA’s proposed budget. Grey believes that testifying on the size of the budget has little effect, but the testimony provides members of the subcommittee with potentially useful arguments for internal debates within the Congress. He adds that this arrangement tends to become increasingly structured, with the pattern of testimony being developed in discussions with the subcommittee’s staff before it is given. This appears to be another example of the cooperative, two-way process existing between government and many interest groups. Convene a workshop. If possible, get funds to run it right from a concerned government agency. Make sure that diverse expert views are represented…. work out conclusions on the scene. Circulate the draft document to the participants for fmal editing. Ask the AIAA Board to endorse and publish it as an Institute document — not necessarily an AIAA view but an expert view worthy of consideration. Circulate the report to key persons in government, Congress, and public. Use the conclusions as the basis for testimony before the appropriate Congressional committees. Finally, and this is the toughest job, get the AIAA members in their local sections to inform their own Congressmen and staffs on the issue. The AIAA, which has 52 technical committees, annually holds about 20 general and specialized conferences on a wide variety of subjects. Such meetings often have provided platforms for the communication of new technical ideas to larger audiences, increasing their familiarity and credibility over a period of time. The AIAA also does assessments of technical issues for NASA and other agencies, some at its own initiative and some by request. In 1969, an AIAA team produced a document at the request of the White House called “The Post-Apollo Space Program: an AIAA View,” much of which was an elaboration of the classic agenda for manned spaceflight. More recently, a study for the Office of Science and Technology Policy on the commercialization of the Space Shuttle may have been influential in shaping policy. In 1982, the AIAA formulated a suggested national space policy that, in the manned spaceflight field, called for improved utilization of the Space Transportation System (of which the Shuttle is the heart) and for a manned space facility in low Earth orbit, that is, a space station. The AIAA magazine, now called Aerospace America, often has provided a medium for advocates of near-future space initiatives. By September 1984, the AIAA had made something of a comback in membership, climbing to 30,675 professionals and 6,960 student members; it had 63 professional sections and 134 student branches. Some of these were actively involved in pro-space activity, sometimes in cooperation with other groups. However, AIAA’ s members still represented only 11.2 percent of the aerospace engineering and scientific community in 1983. The organization, which has an annual budget of over $10 million, decided in 1984 to move its headquarters from New York City to Washington, D.C. In that year, Jerry Grey became the new president of the International Astronautical Federation, the leading international organization in the field. The AIAA has become an established and respected player in the space interest field, listened to not only because of the expertise within its membership but also because it is useful to those in government. With about 250,000 members (roughly 200,000 of them American) the IEEE is the largest engineering society in the United States, and possibly in the world. One of its 27 member societies is the Aerospace and Electronic Systems Society, which has about 7,000 members. The IEEE was stirred to action by cutbacks in funding for federal research and development, including the downturn in the space program. According to Theodore (Ted) R. Simpson, chairman of the IEEE Space Subcommittee, about one third of the scientists and engineers in the aerospace industry were laid off during the late 1960s and the early 1970s, and their employment levels have never again reached the numbers seen at the height of the space program. The IEEE’s response was to set up a Research and Development Committee that analyzes the federal budget, concentrating on agencies whose budgets have a large R and D component. Since 1979, these analyses have formed the basis for testimony before the subcommittees responsible for those agencies, in which IEEE gives advice on the direction of the relatively small changes Congress normally makes in R and D budgets. Simpson emphasizes the importance of being credible and not making unrealistic demands. Since 1974, the IEEE has had a congressional fellowship program that enables two or three of its members to spend a year working on Capitol Hill (Simpson worked for the Senate Subcommittee on Science, Technology, and Space, before which he now testifies every year). The AIAA had a comparable program until 1982. Of the other technical societies with an interest in space, the most important is the 111,000 member American Society of Mechanical Engineers, which has an aerospace division with about 4,000 mem- bers. Like the AIAA, ASME opened a Washington office because it was concerned that public policy was being made without a technical input. Philip M. Hamilton, ASME’s Director of Federal Government Relations, states that ASME testified on the NASA authorization for the first time in 1983, focusing on major projects and directions such as the need for a national space policy, space commercialization, and a possible fifth Space Shuttle orbiter funded by private enterprise. The society’s aerospace division has an ongoing activity to review proposed NASA budgets. ASME started a congressional fellowship program in 1973. The key trade union in the American aerospace world is the International Association of Machinists and Aerospace Workers (IAMAW). The union’s membership peaked at over 1 million in 1969 but has dropped to around 800,000. According to IAMAW leader William Winpisinger, the biggest factor in this decline was cutbacks in the space program. It was reported in the early 1970s that the IAMAW had played an important role in getting congressional approval for the Space Shuttle, although Winpisinger says the union was not much involved. Since then, the IAMAW has not been particularly active in lobbying for “space.” Winpisinger comments that the union had to be sympathetic with the disadvantaged community and had to give more attention to domestic problems and unrest created by the Vietnam war. Its basic posture is to support continuing U.S. efforts in space, but only as resources allow; space must be balanced against other priorities. In 1984, Winpisinger denounced President Reagan’s decision to proceed with a space station as “sheer lunacy.” Like some aerospace companies, the IAMAW played a role in helping the National Space Institute (see Chapter 3). The United Auto Workers has an Aerospace Department, which had about 55,000 members in December 1982. In the early 1970s, NASA put greater emphasis on the practical applications of Earth-oriented space technology. The agency, having already done a good deal of work on communications satellites, was continuing its Applications Technology Satellite series, which included a test of direct television broadcasting from orbit. NASA also was developing remote sensing satellites that observed the Earth’s surface from orbit. By the mid-1970s, organized interest groups had formed around each of these technologies. In late 1974, former Federal Communications Commissioner H. Rex Lee and others, inspired by NASA’s Applications Technology Satellite series, began discussing the use of such devices for public service functions. Public service organizations, including the Public Broadcasting Service, decided that they should band together to advance their interests in this field, since they had encountered difficulty in getting time on NASA satellites. After a year of informal meetings involving up to 27 groups, the organizers decided to form a nonprofit corporation. With the help of grants from NASA and the Department of Health, Education and Welfare, the Public Service Satellite Consortium (PSSC) was formed in 1975. The consortium represents the interests of its member organizations (97 in October 1983) to the administration and Congress, and its respected president, Elizabeth Young, regularly testifies on Capitol Hill. The PSSC was a factor in getting the Advanced Communications Technology Satellite put back into NASA’s fiscal year 1985 budget after commercial interests had succeeded in getting it removed. The PSSC also coordinated experiments on two experimental communications satellites. As of 1984, it was offering a video teleconferencing service and a transportable Earth station for satellite communications. In 1982, the consortium began doing business with commercial enterprises, and in 1983 it spun off all activities in the commercial field to a profit-making subsidiary called Services by Satellite, half-owned by Fairchild Industries. Another applications-oriented organization, the GEOSAT Committee, emerged from a workshop on geological remote sensing from space held in Flagstaff, Arizona, in May 1976. The new group was a response to the geological and commercial potential of the remote-sensing satellites in the LANDSAT series, the first of which had flown in 1972. A nonprofit organization based in San Francisco, GEOSAT articulates to the government the land-observation satellite interests of the exploration geology community, both in the business and the academic world (in 1983, four of the six executive committee members were from oil companies). GEOSAT has recommended improvements for the geological applications of LANDSAT, is anxious to see remote-sensing satellites capable of higher resolution imagery, and was at one time pushing a STEREOSAT, which would give three-dimensionality to satellite imagery of the Earth’s surface. GEOSAT’s peripatetic president, Frederick B. Henderson, stays in close contact with the remote-sensing community all over the United States. We have seen how NASA and the committees of Congress responded to cutbacks in the civil space program by adapting their organizations to the time and by playing accepted roles in policy, legislative, and budgetary processes. Existing aerospace interest groups, motivated by pragmatic economic and professional concerns, responded to the cutbacks in the space program and other programs involving the aerospace industry much as contemporary interest group models would predict. Seeing their interests threatened, they adapted existing organizations, increased their presence in Washington, stayed closer to the information flow about federal policies, legislation, and budgets, and applied a variety of conventional interest group techniques to increase the probability that their voices would be heard by decision makers in government. They did not form new lobbying organizations specifically intended to urge the expansion of the space program. Meanwhile, new, nonprofit associations were formed to take advantage of opportunities for the application of space technology to existing economic or public service needs. If this were the total story, it would not be worth much more of the general reader’s time. As things turned out, however, the turndown in the American space program was followed by other kinds of social phenomena as well, having some of the characteristics of a social movement. People whose economic and professional interests were not directly affected organized groups to advocate more American activity in space. In many cases, they appear to have been driven not so much by pragmatic interests as by ideas, wishes, hopes, dreams. To many of them, space symbolized a better future. In that lay the potential of a new kind of lobby for space. Mary A. Holman, The Political Economy of the Space Program (Palo Alto, Calif.: Pacific Books, 1974), p. 3. Erlend A. Kennan and Edmund H. Harvey, Jr., Mission to the Moon (New York: William Morrow, 1969), p. 315. Amitai Etzioni, The Moondoggle: Domestic and International Implications of the Space Race (Garden City, N.Y.: Doubleday, 1964), p. 43. See, for example, Edwin P. Hoyt, The Space Dealers: A Hard Look at the Role of American Business in Our Space Effort (New York: John Day, 1971). Interview with Benjamin Bova, December 5, 1983. A classic presentation is Mancur Olson Jr., The Logic of Collective Action (Cambridge, Mass. : Harvard University Press, 1965). Interview with Joseph P. Allen, March 14, 1985. Interview with Klaus Heiss, November 22, 1983. Interview with Thomas O. Paine, February 9, 1984. These centers are described in “A Visitor’s Guide to NASA,” Sky and Telescope, February 1984, pp. 102-5. For the early politics of the U.S. space program, see Walter A. MacDougall, … The Heavens and the Earth: A Political History of the Space Age (New York: Basic Books, 1985). See, for example, Future Space Programs 1975, hearings before the Subcommittee on Space Science and Applications of the Committee on Science and Technology, U.S. House of Representatives, July 22, 23, 24, and 30, 1975 (Washington, D.C.: U.S. Government Printing Office, 1975). The early history of the House Committee is related in Ken Hechler, The Endless Space Frontier: A History of the House Committee on Science and Astronautics, 1959-1978 (San Diego: Univelt, 1982 [AAS History Series, volume 4]). Interview with Frank Moss, January 27, 1984. Information on this subject is provided by the Aerospace Industries Association in its quarterly publication Aerospace and in its annual Aerospace Facts and Figures, published by Aviation Week and Space Technology. Aerospace Industries Association — Organization and Functions, a booklet available from the Aerospace Industries Association. See, for example, James J. Haggerty, Spinoff 1984 (Washington, D.C.: National Aeronautics and Space Administration, July 1984 [available from the U.S. Government Printing Office]). See, for example, “AIA Report Urges Policies to Encourage Exports,” Aerospace Daily, January 27, 1984, p. 151; “NASA’s FY’85 Aeronautical Budget Inadequate: MA,” Aerospace Daily, April 3, 1984, p. 191; “Technology Export List is Too Complex, MA’s Harr says,” Aerospace Daily, May 10, 1984, p. 64; and “DOD Position No Perle of Wisdom,” Aerospace America, July 1984, pp. 16-18. Interview with John Loosbrock and James J. Haggerty, October 20, 1983. Interview with David Wilkinson, October 18, 1983. Interview with Harold Volkmer, December 21, 1983. Interview with Victor Reis, March 8, 1984. Interview with Darrell Branscome, December 19, 1983. “Aerospace PACs Target Three Hill Defense Figures in Tough Races,” Aerospace Daily, July 12, 1984, p. 57. “Big Spenders,” Aerospace Daily, October 29, 1984, p. 305. “Rockwell Tops Procurement List 11th Straight Year,” Space Commerce Bulletin, February 1, 1985, p. 6. “Aviation/Space Writers Association — Who We Are, What We Do, Why You Should Join Us,” booklet published by the Aviation/Space Writers Association. This section is based on AMA at 50 (New York: American Institute of Aeronautics and Astronautics, 1981) and on an interview with Jerry Grey, November 22, 1983. Interview with Jerry Grey, November 22, 1983. AIAA at 50, p. 32. Space Policy — An AIAA View (New York: American Institute of Aeronautics and Astronautics, 1982). AIAA Bulletin, July 1985, p. B4; AIAA Bulletin, June 1985, p. B7. AIAA Bulletin, October 1983, p. B5. “Who’s Where,” Aviation Week and Space Technology, October 29, 1984, p. 13. Interview with Theodore R. Simpson, January 4, 1984. Interview with Philip M. Hamilton, January 26, 1984. Interview with William Winpisinger, May 29, 1984. Allen L. Hammond, “Exploring the Solar System (IV): What Future for Space Science,” Science 186 (1974):1011-13. John Newbauer, “Away Space Station,” Aerospace America, March 1984, p. 13. Based on an interview with Elizabeth Young, March 7, 1984, and on published materials provided by the Public Service Satellite Consortium. From an undated document entitled “1983 Board of Governors,” provided by the GEOSAT Committee. See Frederick B. Henderson, “Not Defaulting on Land Remote Sensing,” Aerospace America, June 1985, pp. 28, 92.